Artists J.M. W. Turner, Vincent Van Gogh, and Sir Joshua Reynolds, whether knowingly or not, used fugitive colors. This term has to do with colorfastness and the quality of fading over time. The prime reason has to do with their degradation due to light. 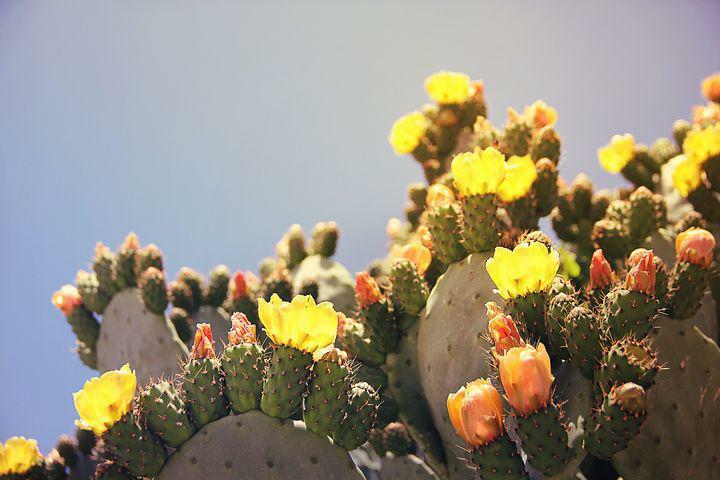 During the Spanish colonization of the Americas, Spain had the monopoly on the cochineal insect, found on the prickly pear cactus, which would produce a brilliant red when squeezed. The red “juice” from this beetle’s blood was so highly prized that opposing colonialist countries sent out spies to learn the source of this color at a time when Spain, England and France vied for superiority in the search of dyes for cloth. Brighter colors were more expensive and highly sought. Not only to color cloth, cochineal was also used for cosmetics and medicine. Frenchman, botanist, and spy Thierry de Menonville traveled from Lorraine to Cuba and eventually to Mexico in 1777. By ruse, he arrived in Oaxaca, a center for cochineal production. Soon after, arousing suspicion by the governor, he escaped and perilously traveled further to Vera Cruz. In Victoria Finlay’s Color: A History of the Palette, she describes in detail the adventures and aftermath of his discovery of the source of this prized red. Without the use of a mordant such as alum or tin with dyes, colors were likely to fade or become fugitive. Such was the case with the carmine reds from cochineal. Cousin to the cochineal was kermes from Indo-European countries. In the Middle Ages, it was the most expensive dye in Europe. The term “Scarlet woman” had to do with the cloth she could afford to wear. It, too, was fugitive. Other red colors came from the madder plant. It,too, was fugitive with Its roots pink.. Today, we have brown madder genuine available. In Van Gogh’s time, getting his colors from Pere Tanguy, he used madder red in his “White Roses”, housed in the National Gallery of Art in Washington D.C. Once pink, these roses, are now simply titled “Roses”. Another of Turner’s reds came from iodine scarlet, but also faded in time. Reynolds was a fan of “megilp” or mastic and linseed oil. He used this in skin tones, but the results in his paintings today are a ghostly color. The red that came from cinnabar was colorfast, expensive and made from burning sulphur and heavy mercury. The mining of the mercury caused an early death until modern times. Just a few short years after Turner’s death, aniline dyes became popular, made of coal tar. An eighteen year old British chemistry student, William Henry Perkin in 1856 working on an experiment to find a cure for malaria, accidentally discovered this mauve dye color. In today’s pigments, I look through the Daniel Smith catalog for watercolors and find only one fugitive color: Opera. It must be its popularity and it’s “pinkness” compared to Pepto Bismol, that allows it to remain in the market.